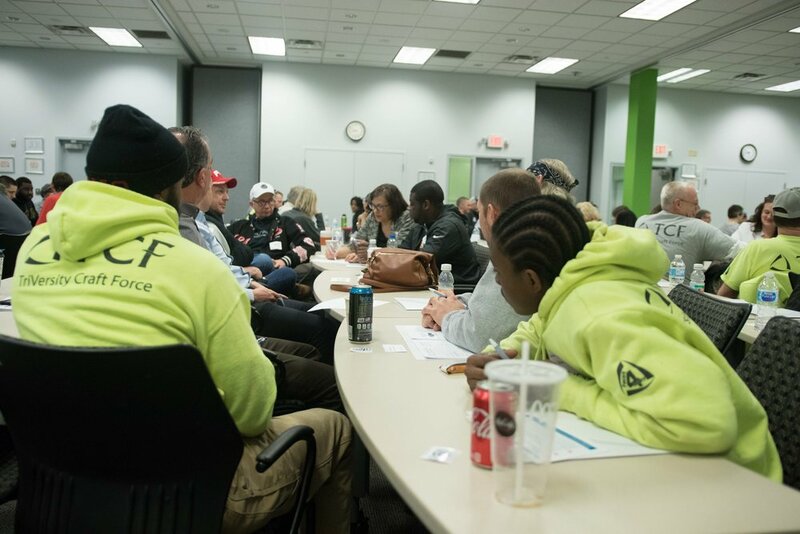 The day began with a welcome from our President, Jim Watkins and then presentations from Gina Menninger from UC Health, Tim Eppstein from the Cincinnati Police Department, and Tim Clark and Tim McDermott from the Bureau of Workers’ Compensation. 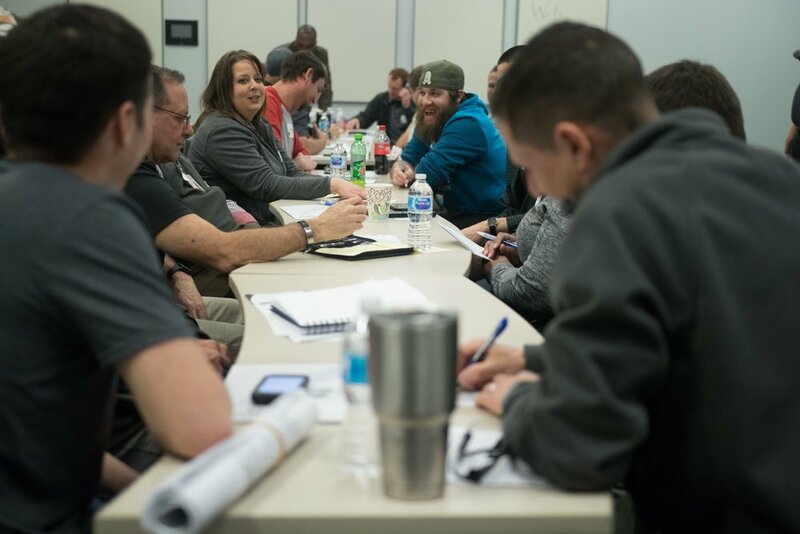 There was also a job site safety skit, starring Chris Todd and Matt Matzsuzaka and an office safety skit starring Jamie Turner and Ryan Dunlap and a team safety analysis exercise. 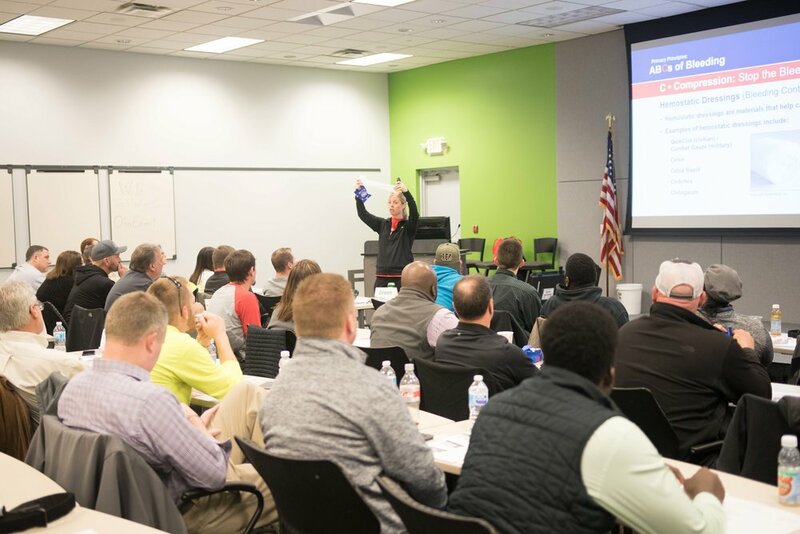 The day concluded with the distribution of six Safety Advocate Awards, which were given to recipient’s for their commitment to safety throughout 2018. 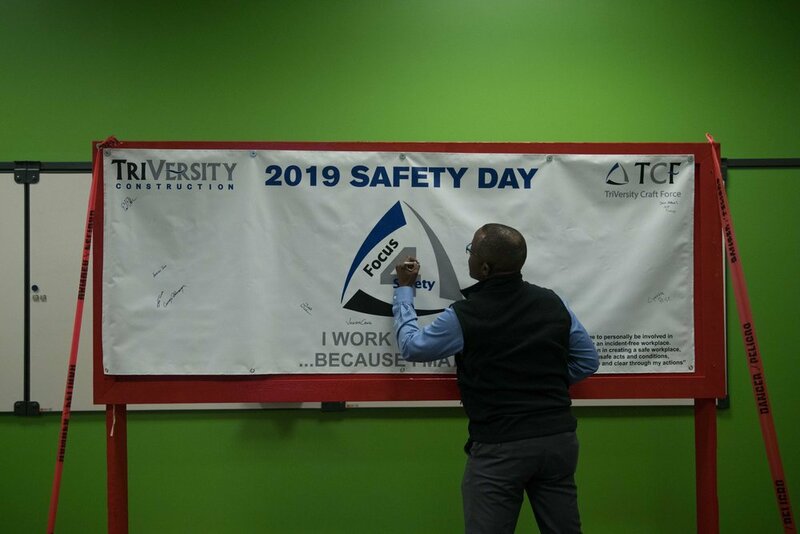 The final highlight of the day was inviting all of TriVeristy’s and TCF ‘s employees to take the pledge and commit to signing the “Why work safely?… because I matter!” banner. Gina Menninger is a Trauma Prevention Nurse and Outreach Coordinator at University of Cincinnati Medical Center. She lead our “Stop The Bleed” presentation. Gina gave a very information presentation that began with the leading causes of a lot of fatalities involving open wounds. We learned that more than half of injuries that occur become fatal because there is a lack of knowledge on how to control bleeding until medical staff arrives. In the presentation she demonstrated how to properly control bleeding using compression, tourniquets, and how to pack deep cavity wounds. To conclude the presentation each employee had the opportunity to practice using the tourniquet on themselves and their neighbor. We were also each gifted a brand new military grade tourniquet to add to our emergency kits (if you don’t have one you should get one). The tourniquets that are recommended is the Recon Medical Tourniquet that can be purchased on Amazon. 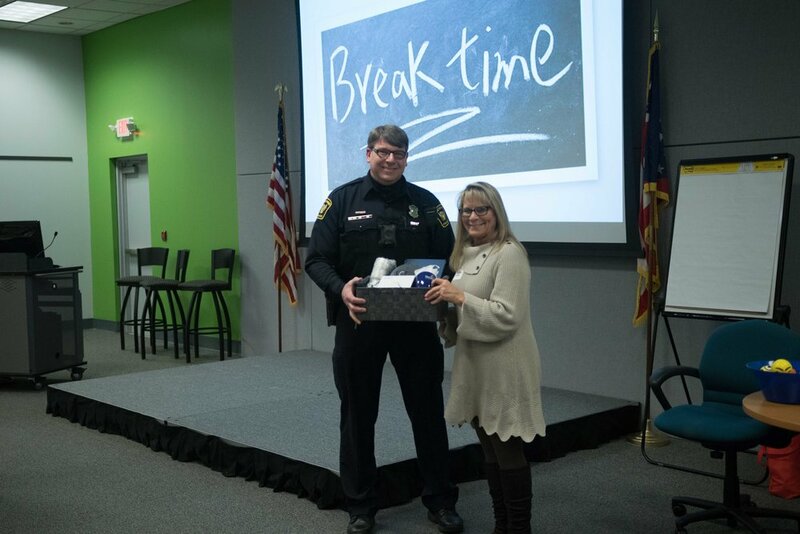 Tim Eppstein is a Neighborhood Liaison Officer for the City of Cincinnati Police Department. 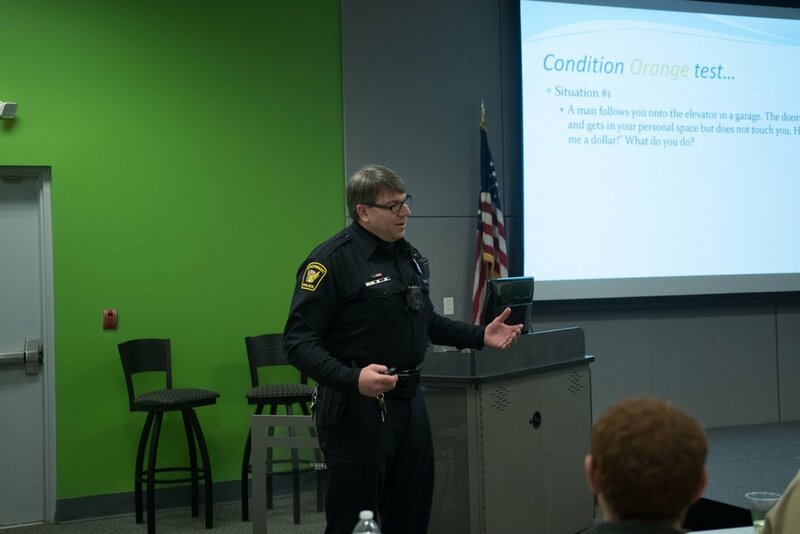 Officer Eppstein’s message revolved around crime prevention and personal safety. He went through several techniques that business owners and the police use to deter crime in the community. One example was repairing broken windows in abandoned homes to prevent drug dealers from setting up shop in that area. The theory behind this is that if a community appears that the people that live there are proud of their neighborhood this will send a signal to criminals that someone will notice them and call the police. As far as personal safety goes, he gave many examples how we can prevent ourselves from becoming a victim.